Craft Slack news, plugins, tips and more. 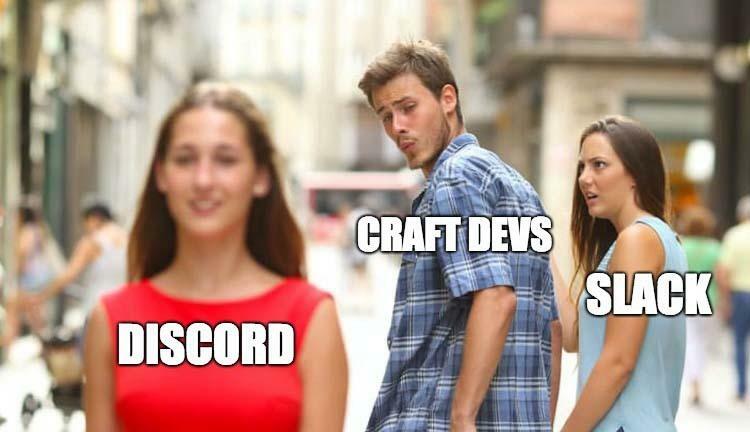 Hello Crafters. This issue brings rumblings on possible changes to the Slack community forum. We’ve also got the a regular supply of tips, plugins, and more. If you’ve got a link for a future issue, head over to the submit a link page. Thanks to Dot All and Kualo for sponsoring this issue! The Craft CMS team is testing some possible long-term replacements to the Craft Slack group. Why would Slack need replacing? If you've tried to search for an old Slack conversation, you've likely hit the 10K message limit. Slack user moderation isn't great either. Want to test the options? Join in at the 2 current Craft CMS communities being tested. With version 3.0.11 the “Cache remote images?” option in the Asset Indexes utility is now enabled by default. Version 3.0.10 added support for a CRAFT_LICENSE_KEY PHP constant, which can be set to the project’s license key, taking precedence over the license.key file. Following the lead of Craft CMS documentation style, some plugins are following the VuePress-powered documentation format, like the Sprout plugins you see here. Join the Craft CMS community September 26-28, in Berlin Germany for the second annual Dot All conference. Experience great presentations, hands-on workshops, and meet other members of the Craft community from all over the world at the official Craft developers conference. All the Craft learning you can consume from Ryan Irelan. Ngrok let's you create temporary links which tunnels through your firewall. Protect a Craft CMS page with a single password? Prevent my client from auto-updating Craft in production. Clients do unexpected things with their sites after you hand them over. Don't let updating the underlying CMS be one of them unless you really mean to let them do that. The empty coalescing operator has been a topic, not only in the Tweet above, but also in the Swift programming language as you can read here. This is related to the Craft Empty Coalesce mentioned down in the Plugged In section in this issue. How do you do a basic Ajax request with Craft? How do I add commas to an output that returns a list of names? Make a date with ‘humandurationfrominterval’. humanDurationFromInterval() returns the interval in a human-friendly string. How do you format a date for saving with users/saveUser on the front end? A beginners guide to using Craft CMS as a headless CMS using a REST API and GraphQL on CraftQuest. Combining the simplicity and affordability of shared hosting with advanced acceleration technologies, Kualo's Craft CMS Hosting packs a mighty punch. Your Craft sites will be turbo charged thanks to LiteSpeed server-side page caching and Redis session storage. Discover why our acceleration technologies, infrastructure and approach make us the perfect choice for your next Craft CMS website. Empty Coalesce adds the ??? operator to Twig that will return the first thing that is defined, not null, and not empty. Craft CMS plugin to compile SCSS to CSS in your templates. This plugin bypasses the error "X cannot contain emoji". In short terms, instead of storing the data as plain text, it stores the data as a Base64 encoded string. A plugin that automatically loads Bootstrap into your Craft templates. "Deployer is packed with time-saving features and optimisations, best for performance and development."